Cichlids belong to one of the largest fish families, with new species emerging all the time. These colourful, shimmering fish evolve so fast that Eawag researchers have now been able to practically observe them in the process of their evolution. Within the space of several thousand years, one cichlid can evolve into hundreds of different species. These are the new findings of investigations in Victoria Lake, in Africa, where over 500 different cichlid species have emerged over the past 15,000 years. 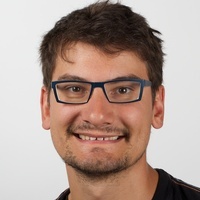 Now, for the first time ever, fish ecologists at Eawag have been able to observe the onset of such speciation – or adaptive radiation, as it is known – almost in real time. 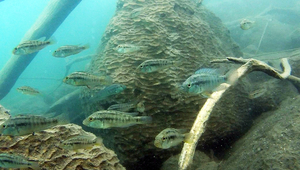 This unusual situation has been playing out in a crater lake in Tanzania, where cichlids of the genus Astatotilapia were introduced by humans around 50 years ago. The astounding thing is that, today, only a few decades later, the fish have already split into numerous different specialised forms. On the basis of stomach analyses and stable isotopes, the researchers discovered that some of the cichlids being investigated were predominantly vegetarian, while others fed mostly on small fry or fish eggs. The fish also live at different depths and have different breeding colours. Admittedly, a general analysis of the situation indicates that we are not yet looking at actual individual species, as the genetic material is still too similar. The researchers estimate that in order for completely new species to evolve, it would take another few decades or even centuries. When single cell algae Chloralla variablis and their deadly counterpart, a chlorovirus compete the outcome is the same across replicated trials: After repeated periods of decline and growth most algae cells become resistant. 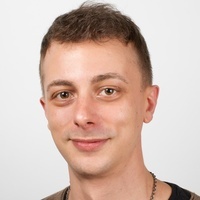 According to scientist from the Max-Planck-Institute for Evolutionary Biology in Plön and the Eawag at Kastaninebaum, evolution repeats itself and results in similar traits if started from the same conditions. 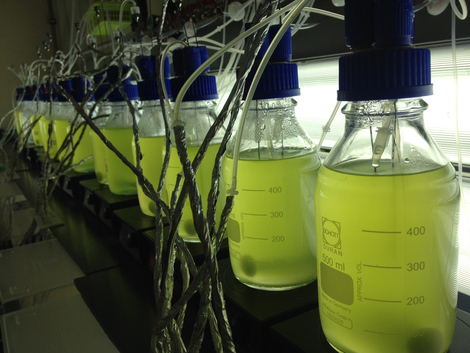 The underlying genes contrast this: In each of the trials different mutations occurred in the algae. The scientist showed that evolution of phenotypic characteristics is parallel even if the underlying genes evolve divergently. 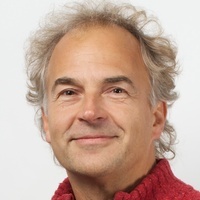 Jacco van Rijssel, Florian Moser, David Frei and Ole Seehausen published a new paper in Proceedings of the Royal Society B on the influence of disruptive selection on speciation with gene flow. They ask whether differences in present day divergent ecological selection can explain differences in extent of divergence between sympatric species. To do so they used seven species pairs at different stages of speciation, some differing in coloration (indicating divergent sexual selection) and some not. Reproductive isolation is stronger in species pairs where disruptive ecological selection appears more prevalent, but the extent of reproductive isolation observed, given some prevalence of ecological disruptive selection, is weaker in species pairs with similar nuptial coloration. Their results speak to the existence of two different mechanisms of speciation with gene flow: speciation mainly by sexual selection tightly followed by ecological character displacement in some cases and speciation mainly by divergent ecological selection in others. van Rijssel JC, Moser FN, Frei D, Seehausen O. 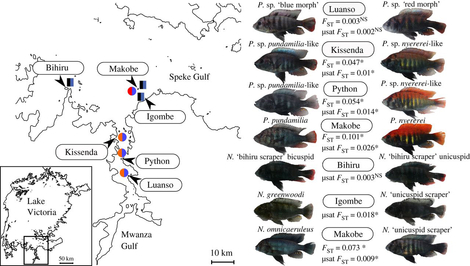 2018, Prevalence of disruptive selection predicts extent of species differentiation in Lake Victoria cichlids. Proc. R. Soc. B 285: 20172630. This is a very interesting blog series by Hari Sridhar, a theoretical ecologist at the Centre for Ecological Sciences, Indian Institute of Science, Bengaluru. 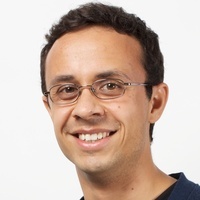 He interviews authors of well-known papers in ecology and evolution to find out about the making of the paper, the impact the paper had on the author’s career and research and the author’s current stand on what was said in the paper. The idea is to construct, what one might call, ‘shadow papers’, which capture the past and future of the original published articles. 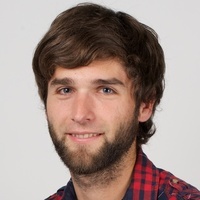 Ole Seehausen and colleagues wrote a perspectives paper published in Nature Ecology & Evolution on "What genomic data can reveal about eco-evolutionary dynamics". 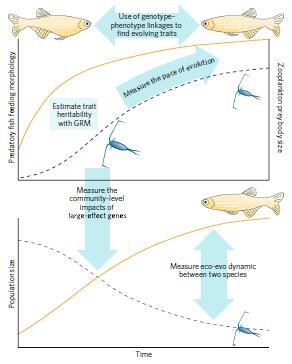 The authors argue that genomic data can be integrated into the study of eco-evolutionary dynamics in ways that deepen the understanding of the interplay between ecology and evolution. 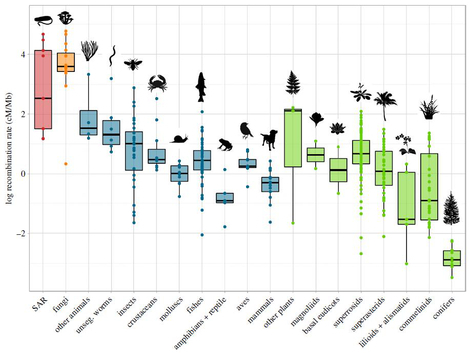 The genomic tools should help reveal the natural history of rapid evolutionary change in ecologically important species traits. Understanding this natural history across a wide range of systems will advance a predictive understanding of eco-evolutionary dynamics. 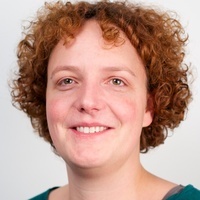 Philine Feulner co-edited a theme-issue in Philosophical Transactions of the Royal Society B and co-authored two reviews on variation in recombination frequency in eukaryotes. Recombination is the process by which DNA strands are broken and repaired and thus produces new combinations of alleles. It occurs in nearly all multicellular organisms and has important implications for many evolutionary processes. This Theme Issue focusses on how and why recombination rate varies in sexual species. Trout that live in stable ecosystems divide the prey spectrum among themselves and develop into specialists. 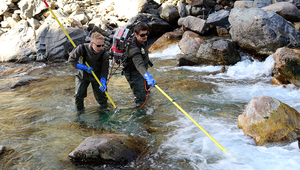 In streams with instable food supply, however, the trout become generalists. 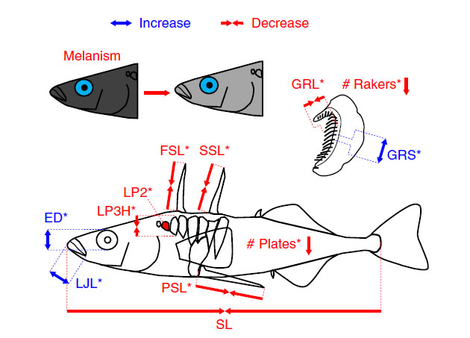 Sticklebacks from different evolutionary lineages alter their environment by their feeding habits. This is deleterious to their descendants except they are hybrids. 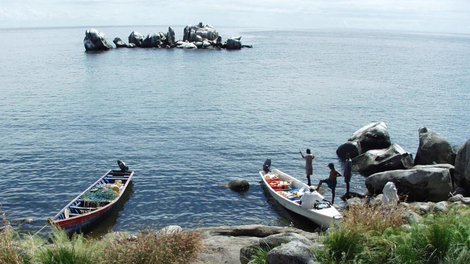 Understanding the interaction between species and environment is important for the effective protection of biodiversity. Central Switzerland is shaped by Lake Lucerne, which offers not only rich landscape diversity but also habitats for numerous animal species. 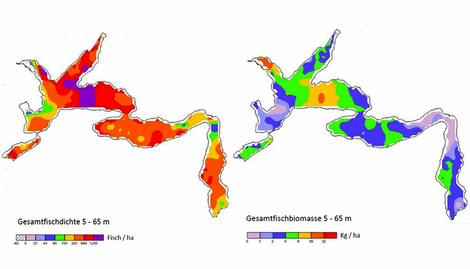 As part of the Swiss-wide “Projet Lac” study, the lake’s fish fauna was surveyed for the first time using standardized quantitative methods – producing some surprising findings.